Business success is all about finding the right outside service providers and using them wisely. You can’t do it all yourself. what you do best – creating, buying and selling. Let us do what WE do best for your business! Click each bar for more information. *$499/month offer requires an annual contract. We’ll provide content and graphics for up to two promotions per month, ready to deploy through your e-mail service provider. Don’t currently have a provider or even a mailing list? We can help set you up for an additional fee. Studio31 will provide content and graphics for up to two promotions per month. They’ll be ready to post to your social media channels. If you need help managing your social media accounts, that’s a service we offer too! If you have rotating or static banners or on your home page, we can supply coordinating images to promote your event/promotion. Just give us the pixel dimensions and we’ll deliver graphics ready to drop in. 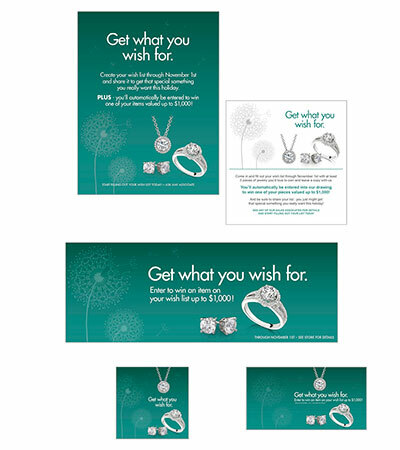 We’ll supply artwork for ads, in-store signage and direct mail. We’ll provide print-ready files for your local publications, printers and mail house. Of course, if you need help finding suppliers, we can coordinate that too. 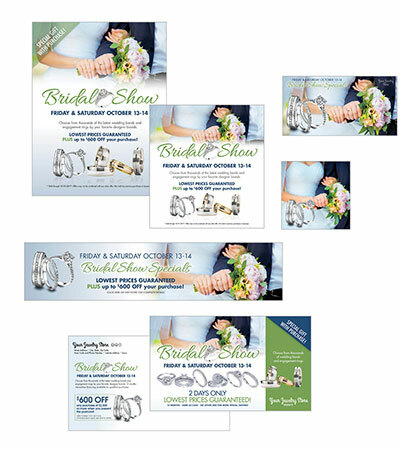 Sample packages showing emails, social media posts, web banners and direct mail pieces. Call or e-mail us for a no-obligation discussion on how we can create a more professional image for your business! © 2017 Copyright Studio31 Marketing LLC. All Rights reserved.